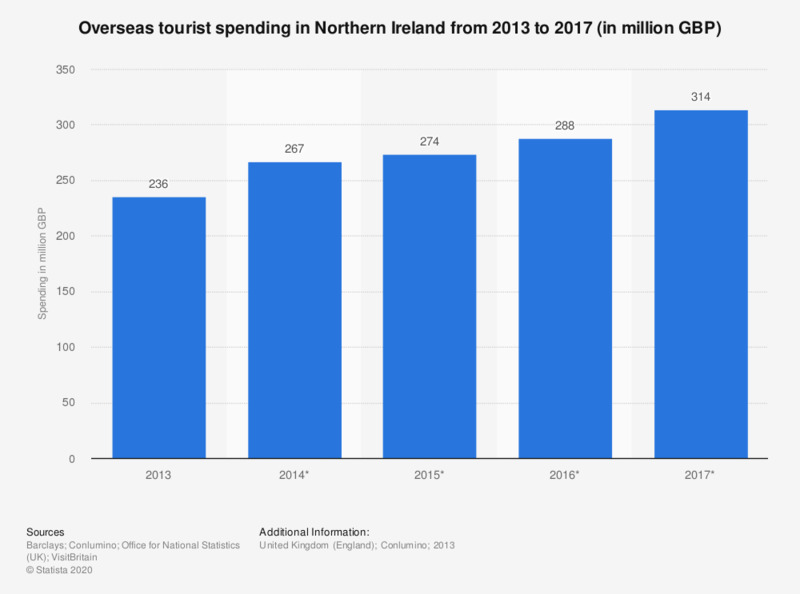 This statistic displays a forecast for overseas tourist spending in Northern Ireland from 2013 to 2017. Overseas tourist spending amounted to approximately 236 million British pounds in 2013 and is expected to grow to 288 million British pounds in 2016. Overseas spending excludes costs for airline travel.